Maximum size: 0.9 mm shell length. Identification: The shell of this species differs from the shells of Colpodaspis thompsoni in having a deeper suture and a "frosted" surface. Taxonomic notes: It was first recorded in Hawaii from off Makena, Maui from a sand sample provided by Mike Severns and PF in Feb. 1998. 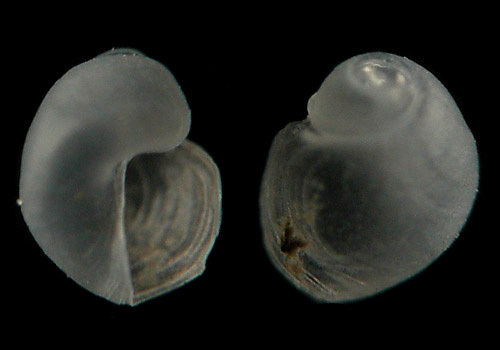 Photo: CP: composite photo, same shell; 0.9 mm: from sand sample; provided by Mike Severns and PF; off Makena, Maui; Feb. 1998.